4.0 right now before it disappears completely. The sad truth is that this sim is simply too good for 90% of its potential market - the average "casual" PC flyer will open the (very well written) 500+ page manual and feel like a Maverick has hit him or her in the noggin. USAF fighter pilots are some of the smartest, brightest, most over-achieving people on the planet, and to master Falcon 4.0, that's pretty much who you will need to be as well. If you've got what it takes, however, the rewards are here - and I do mean all the rewards are here. Everything. 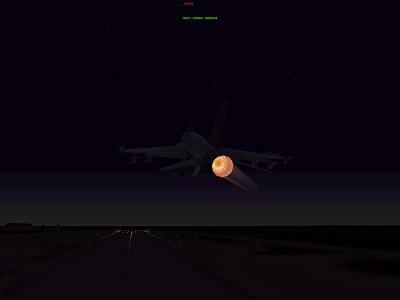 This is as good as PC-based jet fighter sims are ever going to be. Note: This review applies to Falcon 4.0 flown in Campaign mode with avionics, flight model and systems all set to "realistic." If you just want to turn, burn and heave missiles at things, you can turn all that stuff down to "easy," enter the Dogfight arena, and have a blast! 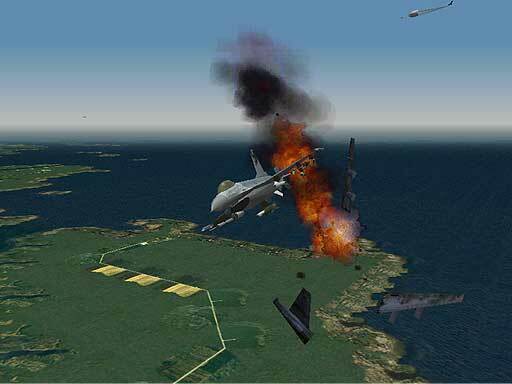 Falcon 4.0's development was dropped by Microprose shortly after it's release in 1998, probably because of it's complexity and the large number of bugs that were showing up in the game. They probably thought it wasn't worth the cost of making all the fixes. 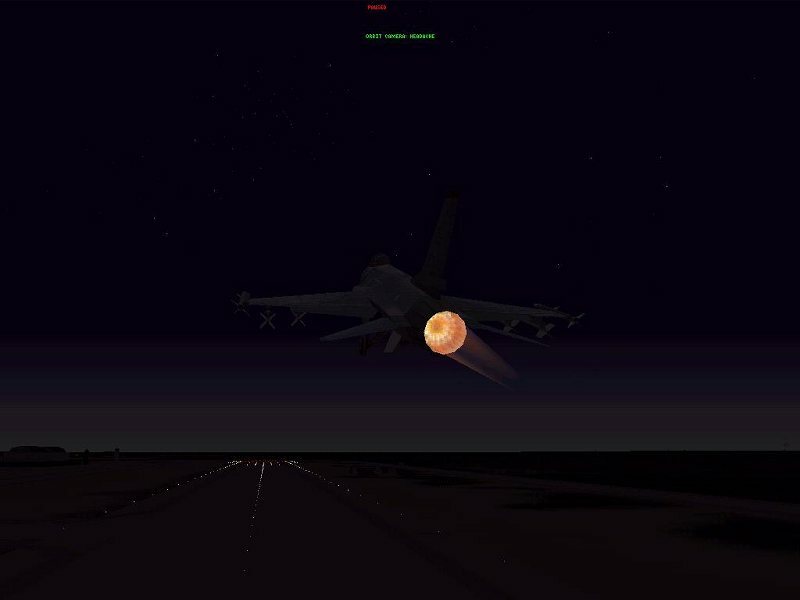 But, because it was such an excelent flight simulator (probably more accurately called an F-16 flight trainer), in spite of its problems, it had drawn a large crowd of enthusiasts, very similar to the Trekkies that popped up after the original Star Trek TV series was canceled. They took up the gauntlet and proceded to produce their own patches and updates. Because it was an enthusiast based effort it proved to be very anarchic, a muddled up pile of patches that was difficult to sort out as to which worked with what. The enthusiast effort finally seems to have matured into only a few branches now. The patching system enclosed in this offering seems to give an excelent running sim. I suggest you apply the 1.08 patch and then give it a spin. It actually runs out fairly good after that patch. Then apply the SP4.2 patch installer and give it another try. You'll be amazed at how good a job the enthusiasts have done. I suggest you download the manuals first and take a look at them, then decide if you want to give it a try.